Middle child of Louise and Melvin King. Richard was born with a human head, arms and legs, but the body of a bird. He had hair on his head and downy feathers on his body. Richard truly was a wonder of nature. For many years Louise painstakingly made Richard’s clothes in an effort to conceal his peculiar body and the feathers that started to grow. She accomplished this with padding and vents. His “human suit” allowed him to function, at least visually, as though he was a normal child. His two siblings were seemingly perfect in every way. His older sister Helen went away to college when Richard was still very young. His younger sister Agnes was left to protect her brother as best she could, although being slight in stature, it was sometimes difficult for her to confront children twice her size. Her feelings of guilt plagued her for the rest of her life, feeling sorry for her father because his only son would never live a normal life or be able to go into the family business. Agnes retreated into her own little world by drawing cartoons and playing make believe with her stuffed animals. The Kings never talked about Richard’s deformity. As a matter of fact, they were in complete denial, and saw Richard as a perfect child with no problems at all. The emotional strain was amazing on everyone in the family. As Richard grew, Louise would alter his clothes, perpetuating the masquerade until one day, the awful secret was revealed. It was during gym class that t! 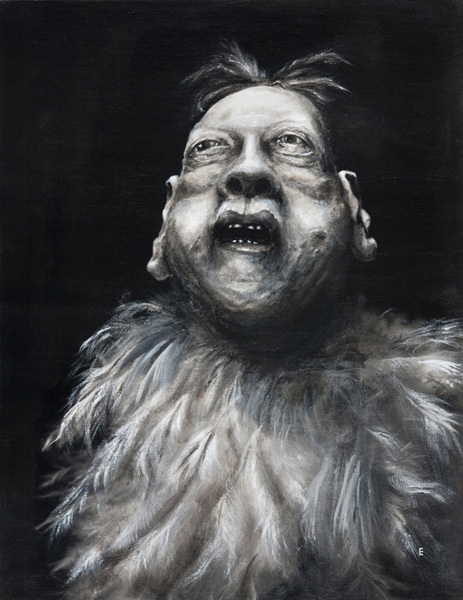 he other children discovered the secret behind the “human suit” — that beneath it, Richard had the body of a bird. The children taunted, mocked, threw things, and humiliated him. It was shortly after this incident that the Kings saw an ad for the G. E. Circus in their local newspaper that read: “UNUSUAL ACTS WANTED, ANY TYPE OF HUMAN ODDITIES, GREAT BENEFITS, WONDERFUL LOVING COMMUNITY. Please send photo and letter of introduction.” The King’s thought about what Richard’s future would be like living in a small town and what his options would be ... they responded to the ad. They sent a photo of Richard taken on his ninth birthday, dressed in his “human suit” and without it, showing his bird-like body, along with a letter from their family physician verifying Richard’s condition. A response came almost immediately and Richard joined the circus becoming an instant sideshow attraction. He has been a headline act with Billy the Goat Boy for fifteen years. 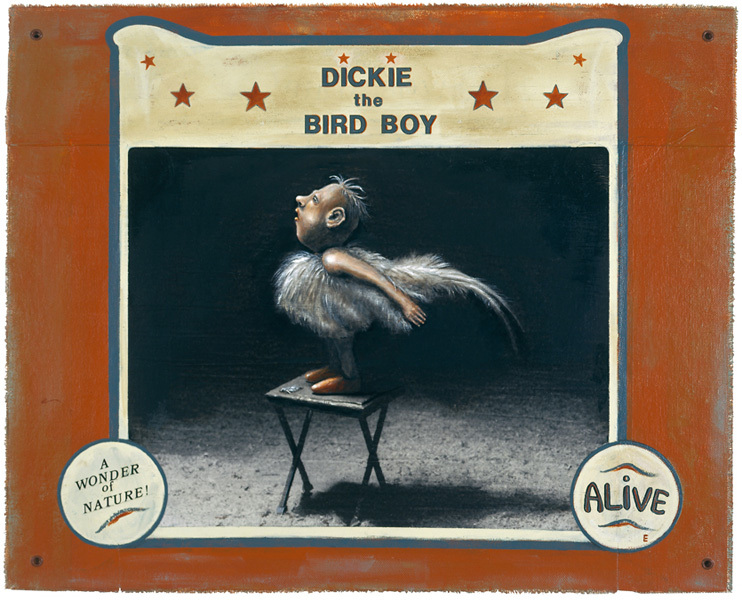 He changed his name legally to Dickie the Bird Boy, and is very content and happy with the life and friends he has found.